But, from an early age, he was driven by his search for purpose. And his thinking was always on a grand scale. While other teenagers worry about getting a date and graduating from college, Musk decided that striving for greater “collective enlightenment” and making the world a better place was what made sense to him. In college, he wrote papers on harvesting solar energy in space and sending it down to earth via microwave beams. Another paper he wrote, on Ultracapacitors, was very likely, the germ of the idea that led to the development of Tesla’s Powerwall – the home battery that charges up using solar-generated electricity. Musk is also a consummate video game player, and something of a prodigy, having written his first code for a computer game called Blastar, at the age of 12. In college, he would participate in gaming sessions that sometimes lasted days (Reminded me so much of my favourite nerds from The Big Bang Theory). He cut his teeth on internet ventures, like Zip2 and Paypal, where he made his fortune as an entrepreneur. Thankfully, he went on to tackle the big questions – of space, energy and transportation – instead of becoming just another video game entrepreneur. In the book, Elon Musk: How The Billionaire CEO of SpaceX and Tesla Is Shaping Our Future, Ashlee Vance charts Musk’s evolution from a geeky, socially awkward kid to a leader who is confident and in control. His astounding energy and determination are what make venture capitalists, investors, employees and customers believe in him and want to invest in him. It’s also what makes him a very difficult and demanding person to work for. Some of the most interesting anecdotes in the book illustrate how brilliant people like Musk can be immensely difficult to work with, especially when they expect other people to think like them. His mind works from a different understanding of reality than the rest of us, and it’s hard for other people to keep up with him. The fact that Musk is an alpha male, and can’t seem to get his ego out of the way, has created many power struggles in his companies. Like Steve Jobs, Musk doesn’t hesitate to run roughshod over his employees’ feelings. His ego and confrontational approach to getting things done created “deep, lasting fractures within his companies”. At Zip2 and Paypal, Musk was forced out because the boards felt that he was not yet CEO material. But you don’t get to where Musk is today by always making people happy. His ventures were among the few that survived the dotcom bust. Where other internet companies were floundering, Paypal flourished, making him a multi-millionaire when it was bought by eBay. He went on to disrupt a number of industries – with deep-pocketed, well-entrenched competitors – with his Silicon-valley style of functioning. What separates Elon Musk from the herd is his dogged determination and his ability to stay focused and hyperrational in the midst of a crisis, even when everything seems to be crashing down all around him. “The harder it gets, the better he gets,” states one of his close friends. He doesn’t take no for an answer and has a do-or-die attitude to getting things done. Like a samurai, he would rather commit seppuku (Japanese ritual suicide by disembowelment) than quit. Few people want to be the person who ever has to compete with Elon. “He will outmanoeuvre you, outthink you and out-execute you,” says one co-worker. A large part of his success is based on his ability to attract the best talent – people who are as passionate and brilliant as he is, and are fired up by his grand vision of changing the world. If you’re an engineer with top grades and a Type A personality, or a tinkerer who has been building things and solving problems since you were little, you’re Musk’s perfect candidate. While many of his co-workers and employees do not appreciate Musk’s abrasive personality, they come away respecting his vision, drive to execute and ability to deal with hardship. Musk’s employees fear him, adore him and give up their lives for him, says Vance. Musk commands an enormous sense of loyalty and hero-worship among his employees, even the ones that were fired. However he does not seem to return their loyalty and his detractors describe him as being callous and lacking empathy, with many a tireless and hardworking employee tossed out on the curb for displeasing him. Vance puts down Musk’s eccentric behaviour to his being profoundly gifted and believes that he is less sensitive and tolerant of people only because, in his mind, the stakes – of humanity’s continued survival – are so high. 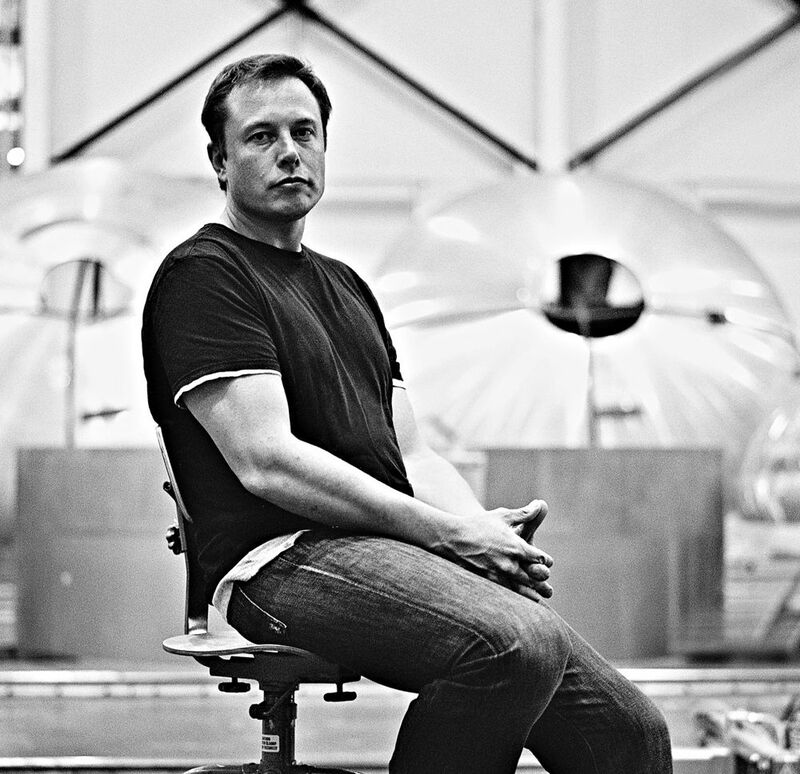 He believes that Musk’s unique brand of empathy encompasses the human species as a whole, without always considering the needs of the individual. Vance’s book tells, in fascinating detail, the story of the blood, sweat and tears that went into the making of SpaceX and Tesla. At the time of this writing, the U.S. Air Force has certified SpaceX’s Falcon 9 rocket to launch military satellites, paving the way for its emergence as a viable commercial launch provider. SpaceX also intends to put 4,000 internet satellites into orbit to provide internet access to the entire globe. In a world where many entrepreneurs think in terms of inconsequential and short-term goals, Musk’s chief contribution is that he thinks big and inspires us to do the same. History has demonstrated that, given enough time, his absurd sounding goals are quite possible to achieve. Elon Musk, truly, is a man ahead of his time. Despite his incredible imagination, Musk is not just a dreamer. He bolsters his vision with solid, achievable goals, based on sound logic and financial practicality. He has made low-cost space exploration a reality and transformed the automobile into a solar-powered gadget that can be upgraded while you sleep – basically a computer on wheels. Even Disney seems to want a piece of the Tesla pie. Check out the Tesla Charging Station for the Levitation Elevated Vehicle (LEV) in this still from Disney’s Tomorrowland (you’d have missed it if you blinked).